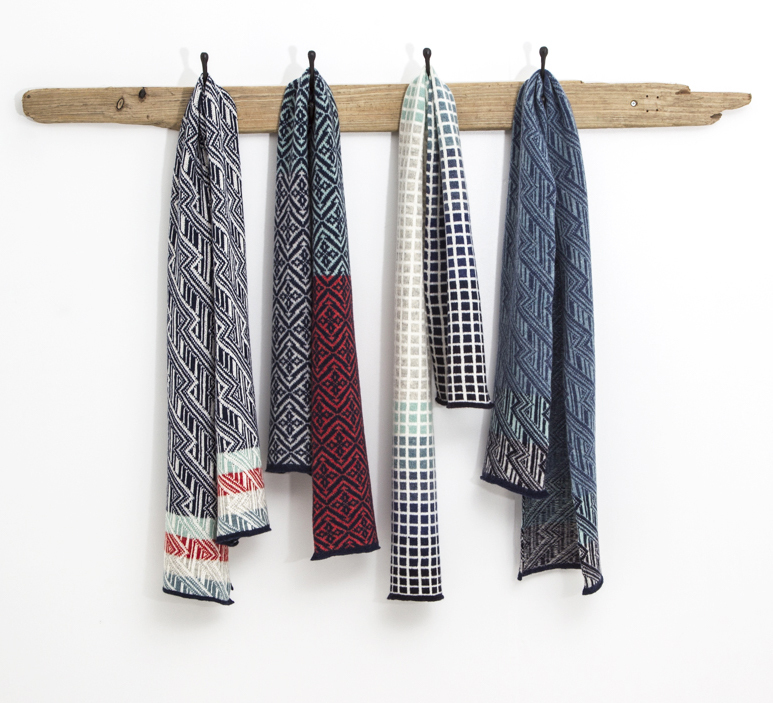 This beautifully soft scarf is handmade by Katie at her studio in Wales, each scarf is made on a hand-powered domestic knitting machine. 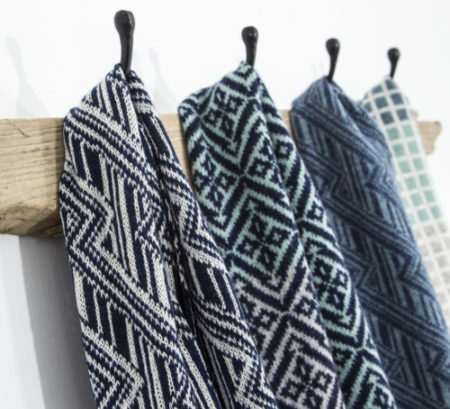 Inspiration for this geometric pattern comes from Moroccan tile prints and ceramics,combined with Japanese textiles and patterns. 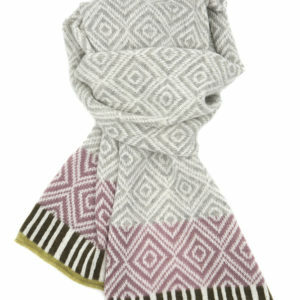 Made from the highest quality merino lambswool yarns, this unisex scarf is perfect to wrap up warm this Winter. 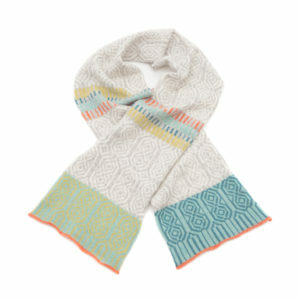 Combining striped pattern detail, with graduating colour change, this completely unique design will give you warmth and style, perfect for a treat to yourself or as a gift to someone special. 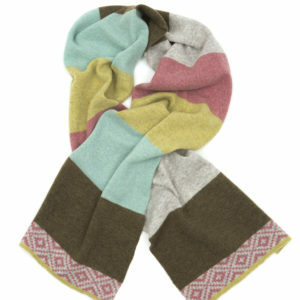 Knitted and hand finished with love and care.